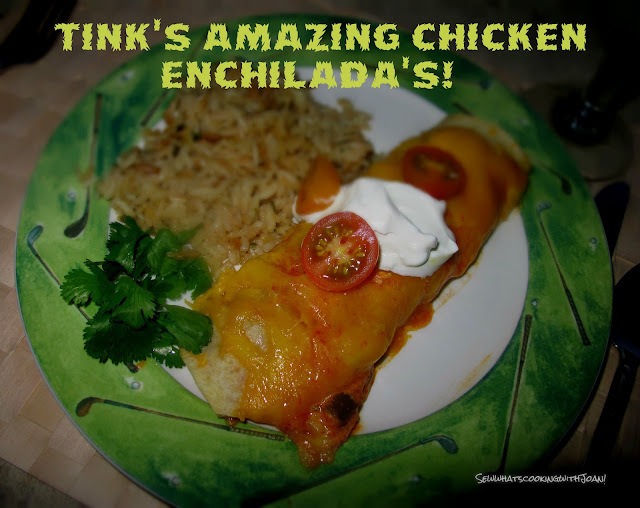 My daughter Holly has mentioned these delicious chicken enchilada's to me many times. 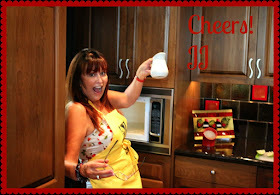 It is one of her after work go to recipes and now I know why! They are the perfect blend of creaminess with just the right amount of "KICK", they take about 30 minutes of preparation time and 30 minutes of conventional baking time or 15 minutes of Convection bake time. 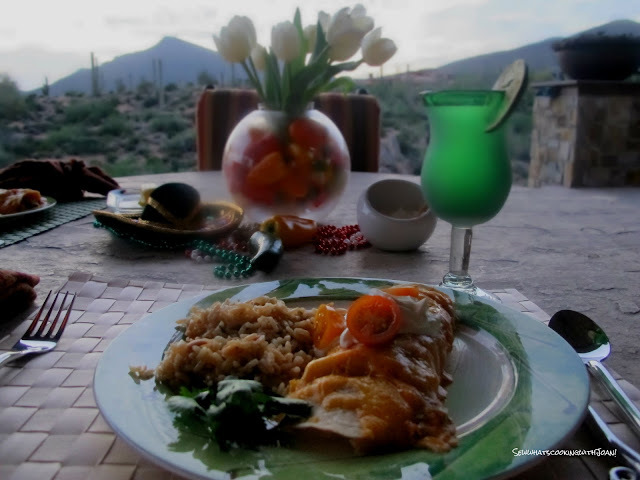 I paired with herbed rice and my Cabo Quinoa salad .......delish! 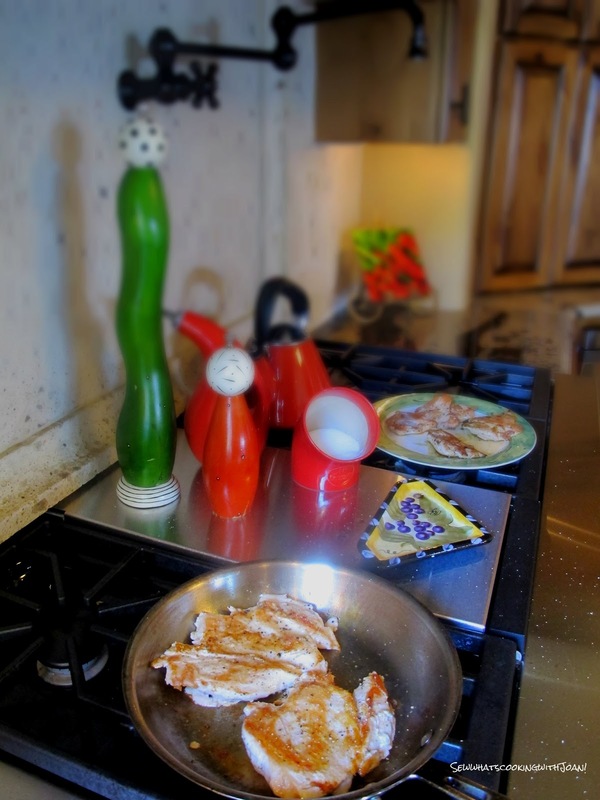 In a medium skillet over medium heat saute the chicken breasts in olive oil. Cook chicken until no longer pink and juices run clear. Drain the excess fat. Shred or cube the chicken and return to the skillet. Add the onion, sour cream, cheddar cheese, parsley, oregano and ground pepper. Heat until the cheese melts. Stir in the salt, tomato sauce, salsa, chili powder, green pepper and garlic. 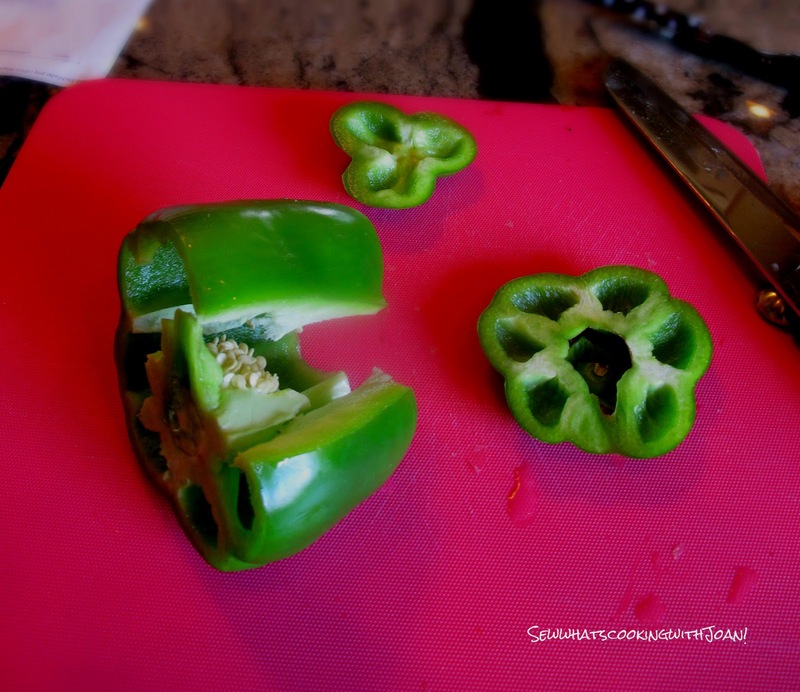 Easiest way to cut up a pepper! Cut both ends off. Slice down one side. Remove seeds and pith, then slice or chop! Roll even amounts of the mixture in the tortillas. Arrange in a 9X13" baking dish. 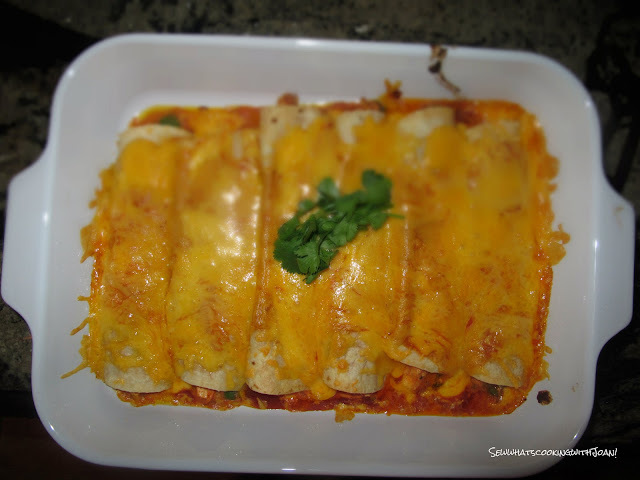 Cover with enchilada sauce and cheddar cheese. Bake for 30 minutes in a conventional oven or 15 minutes in Convection bake or until slightly browned and bubbly. An amazing weekend for all! 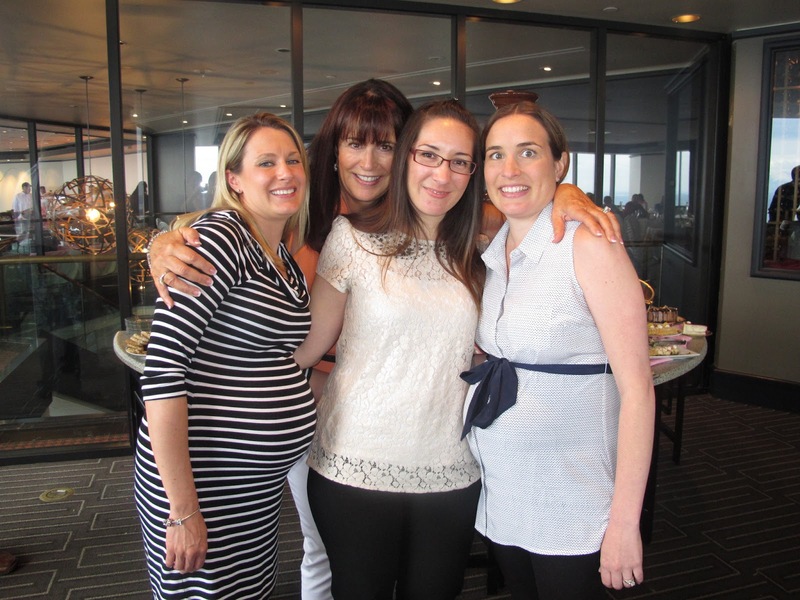 Laura, Amy and I gave Holly an amazing baby shower that Amy will be sharing with you over two blogs! Comments ranged from "over the top" to "most beautiful shower ever"! Wee Bear and I babysat our adorable grand daughter, Julia on Saturday night, while her parents went to the Ipic movie theater. We had a blast! My children treated me to Mother's Day brunch at Columbia Tower Club and Amy shared with me in the most special way(made me cry) some wonderful news! We finished Mother's Day with wine touring/tasting at two very famous wineries, although it was the Grandma's and Grandpa's doing all the tasting! Why do you think I am smiling ear to ear? Gorgeous! Thank you! I think we all practice moderation. 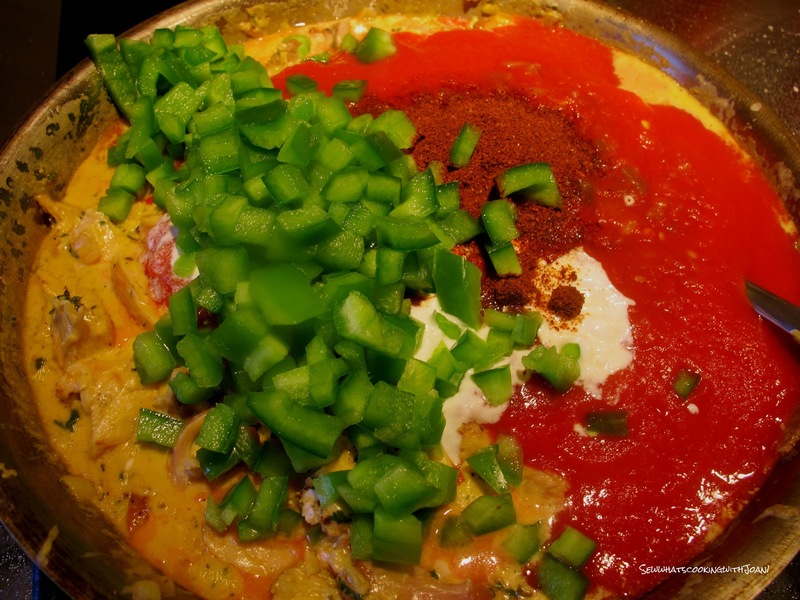 We eat what we would like, staying within a healthy perimeter, but eat in moderation. No greasy high fat gravy's! Hope you enjoyed them. I am making these tonight for Cinco de Mayo.